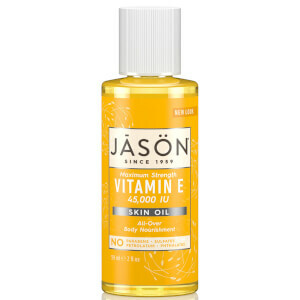 Nourish, moisturise and help regenerate your skin with JASON 32000IU Vitamin E Beauty Oil. This natural antioxidant combats free radical damage whilst protecting skin against fine lines and wrinkles, leaving skin silky smooth. 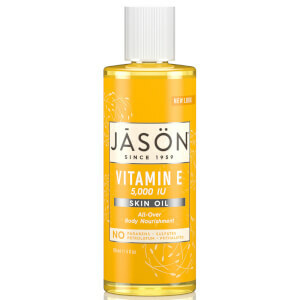 Topical use of JASON 32000IU Vitamin E Beauty Oil helps decrease the appearance of roughness, wrinkles and prevents damage from environmental elements. This multi-functional oil also reduces scaring and stretch marks, leaving your skin soft and supple. Gently massage all over face, hands and body as often as moisture is needed. I have a very dry skin, so I want tp try something new, as I seen this product also can be use at stretch marks. So was two in one. I really like the result so far on my skin is more hydrated, the stretch marks are not gone yet :-( I only don’t give 5 stars because the oil is a little bit to thick. I have bought not so long ago and I put this on every night and let is soak into my skin while I sleep. I have definitely noticed that my skin seems softer and hydrated . I Have a very dry skin so I’m loving it!